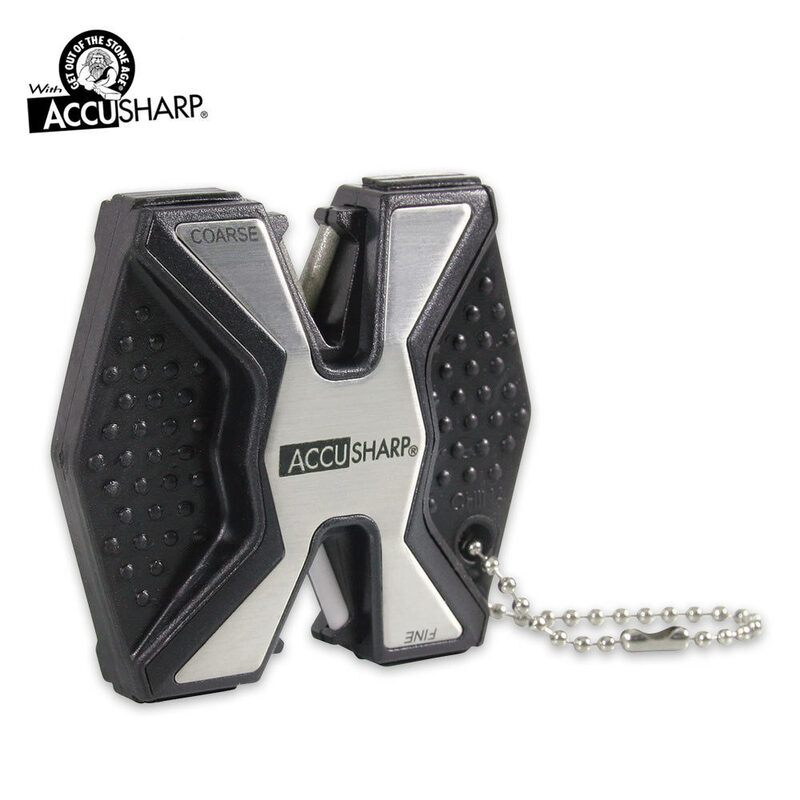 AccuSharp Diamond Pro Two Step Sharpener | BUDK.com - Knives & Swords At The Lowest Prices! The AccuSharp Diamond Pro Two-Step knife sharpener can sharpen all types of steel. The pre-angled coarse diamond and fine ceramic rods on one side and the two ceramic rods on the other side can be used to sharpen, restore and polish your blades. This sharpener is definitely a handy tool to have!